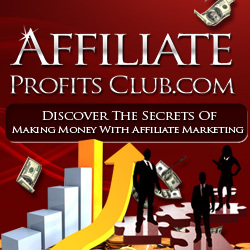 You are here: Home / Make Money Online / Can You Choose Your AdSense Ads? AdSense delivers great click-throughs and high revenues for one reason: the ads are targeted to what the user wants. Google’s robot picks out keywords on your page, gets a grip on what your website is about and delivers links that take users to sites that interest them. That’s great news… up to a point. As much as you want your users to click on ads that look interesting, you might not want to trust to a robot to pick those ads – and you might prefer to have ads on your page that pay the highest amount possible for each click. But you don’t get the choice. You can do lots of things to improve your AdSense revenue, from selecting the layout of your ad unit to choosing the color and size of the font, but one thing you can’t do is slip into Google’s database and choose the ads. If you could do that, no one would ever choose the low-paying ads. That doesn’t mean you can’t do anything at all though. The fact is, some smart publishers have been noticing all sorts of interesting results after playing with their HTML code and changing some of the text on their Web page. And some of those results have been very surprising indeed. For example, some publishers have found that placing keywords in certain positions on the page can have an immediate effect on the ads served. The owner of a site about recreation vehicles then would be able to do a little research online to find the highest paying keywords in his area and then – if he knew where those hotspots were – he could place those keywords in the right areas on the page. In addition to the usual ads about camper vans and RV’s that his site would receive, the publisher could be certain that at least one of the ads was the highest paying possible. That’s the sort of knowledge that’s worth money in your pocket. Why some areas of a Web page should be more important than others is a mystery well kept by Google’s programmers. But some of Google’s ad secrets are leaking out – and they’re being snapped up by smart publishers who understand that knowledge and strategy are the key to massive AdSense revenues.